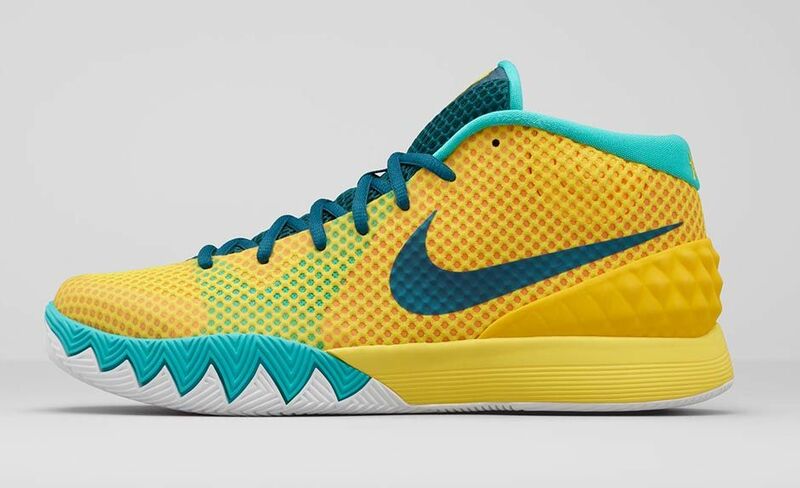 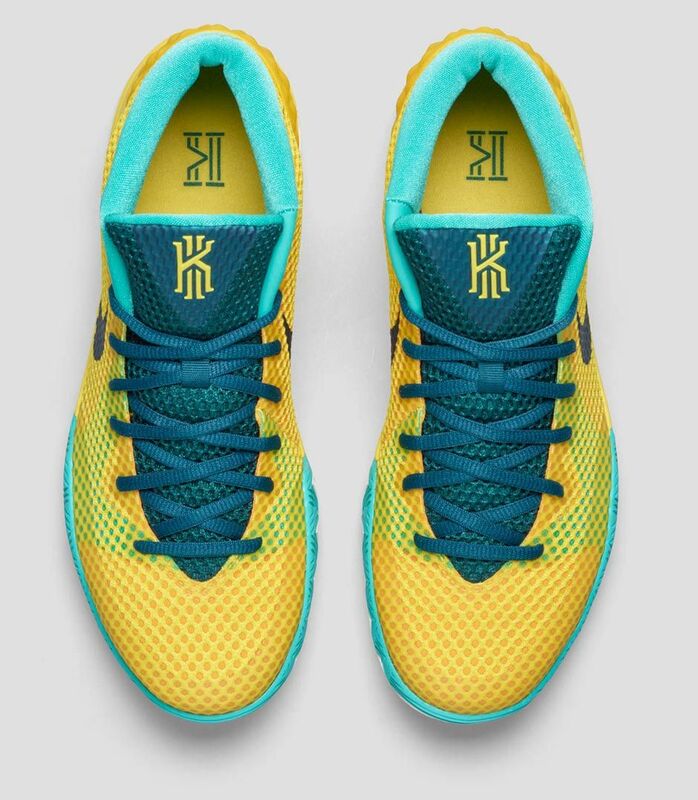 Even though Kyrie is not playing due to injury, Nike continues to release colorways for Uncle Drew. 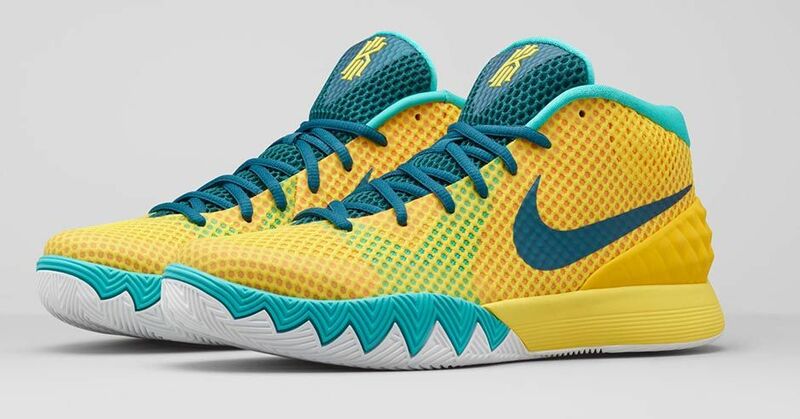 Here is a colorway dubbed as "Letterman" paying homage to his team in high school, St. Patrick High School in New Jersey. 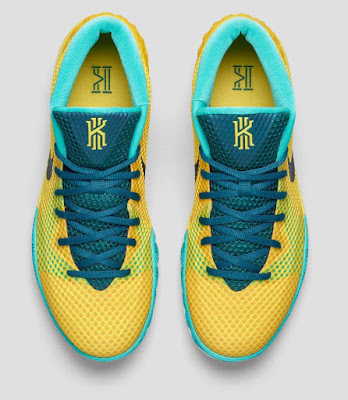 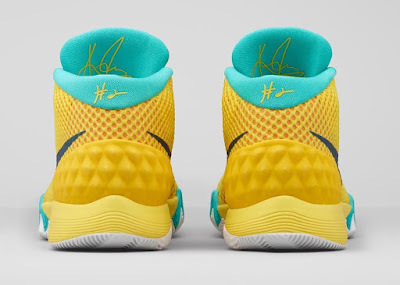 The shoe has a yellow upper and different shades of teal to mix with the school colors with the outsole made from white solid rubber. The shoe drops on June 13, 2015 and will retail at $110.